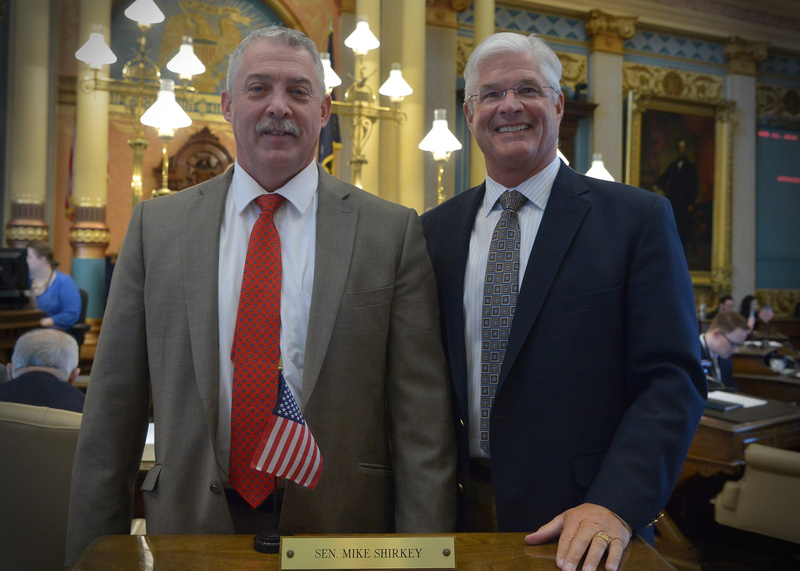 LANSING, Mich. — State Sen. Mike Shirkey, R-Clarklake, welcomed the Rev. Terry Boyd (left) to the Michigan Capitol on Thursday. Boyd serves as pastor at Sycamore Baptist Church in Jackson and delivered the daily invocation before the start of the Senate session. Note: For a print-quality version of this or other Shirkey photos, click the image or select the Photowire link, at right.